Discover your purpose, passion, and mission for your retirement years. Retirement can be the most purpose-filled, satisfying, fun phase of your life! Thousands of men and women are retiring each day, and many look forward to this phase of life with equal parts excitement and anxiety. Baby boomers have high expectations of retirement: they want to be redeployed to a life that is meaningful, significant, and full of joy. But this requires thoughtful planning, and many soon-to-be retirees wonder how they’ll get there, or if they’re even on the right path. 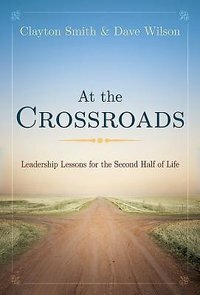 At the Crossroads, by Clayton Smith and Dave Wilson, is a six-week Bible-based study offering comprehensive, practical help for Christians who are approaching, entering, or already in retirement. 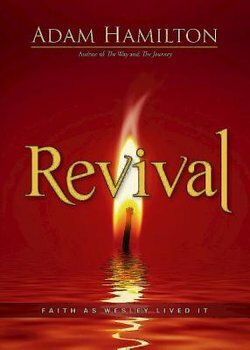 Readers can work through the book on their own or as part of a group. The book guides readers through a study and reflection process to discover their purpose, passion, and mission for retirement. It includes self-assessments and other planning tools to help readers develop a personal and spiritual mission statement. The book also facilitates discussions with family and friends about shared priorities, expectations, and end-of-life decisions, bringing a sense of peace for all involved. Finally, the book includes a chapter on financial planning, with a focus on the reader’s legacy, for an impact that will last through generations.